Input lag: 1977-2017 is an essay about the time it takes several computers to display a character from a keypress. 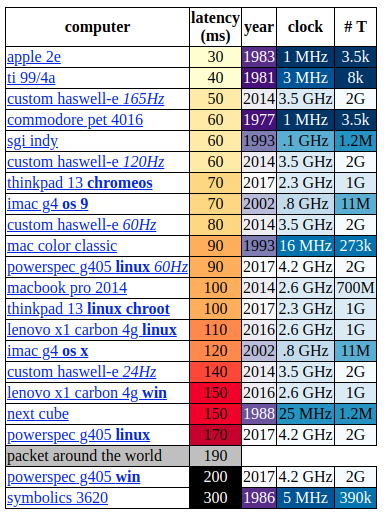 A lot of newer computers take 3 to 5 times more than 30 to 40 years old computers. Google Maps’ Moat, by Justin O’Beirne. On the competitive advantage that Google Maps has over Apple Maps – equally interesting for map nerds and business people. 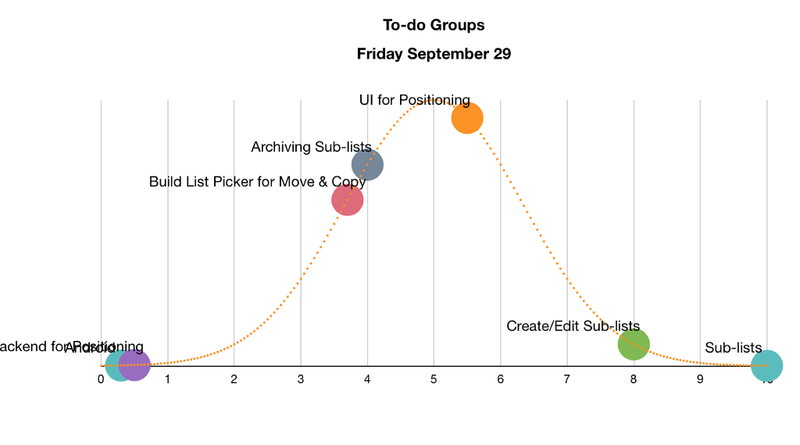 Running in Circles is Basecamp’s view of agile product management. They acknowledge the value of working in cycles, but add three pieces: having the time to focus, being able to modify the original plan, and tackle the core unknowns of the feature first. 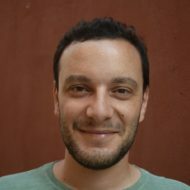 I came across Module Counts, which tracks the number of published modules for major language package managers. 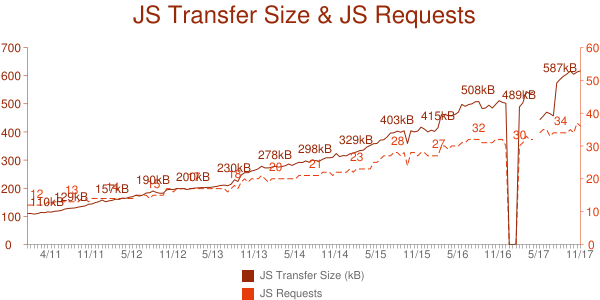 At this point, npm has 600k packages published, which is 3 to 4 times what any other package manager has. 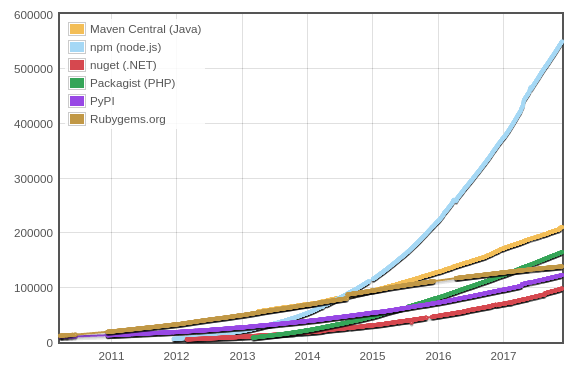 I’m not aware of download statistic across different package managers, but npm has surpassed the 2 billions downloads a week mark. This puts me in the perfect mood before going for a walk in this sunny and cold Saturday. The language of programming is about the struggles non-native English speakers face when learning to program. Hat tip: Manuel.